I sometimes wonder if professors think that the only thing students have to do ALL day long is whatever they require for their class. I picked up these bad boys at the library yesterday. 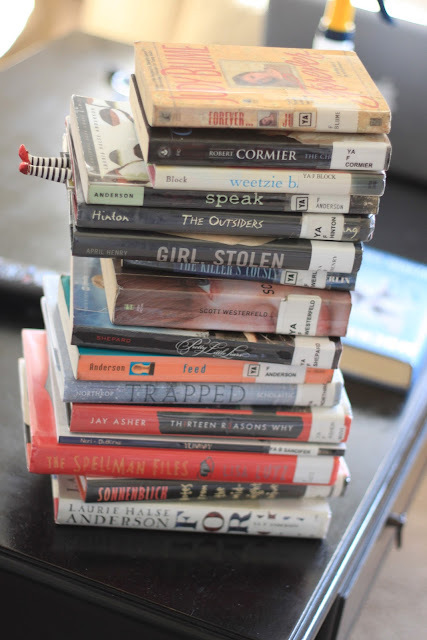 The final project for my Young Adult Literature class is a collection of 50 book reviews. Yes, 50. Part of this is awesome because I get to read so many fantastic books (and re-read some old favorites as well). The problem is that I do not have enough hours in the day to finish one book every evening, AFTER I've worked for 8 hours, AFTER Lucy has been walked, and AFTER dinner has been made we've gone out to eat. If I didn't work, this class would basically be a dream. I would have an excuse to curl up on the couch for hours upon end and escape into the fictional world of all things teenager. "Sorry Brandon, I don't have time for laundry, I'm required to read ALL day." Okay, who am I kidding, I don't have time for laundry now either. Man, I think I'm cranky today. On the bright side, "what are those adorable legs sticking out of the books," you might ask. Oh that? That's a bookmark my mom found on Etsy and mailed to me when she saw it pinned on my "I want" Pinterest board. I've seen Wicked twice and love the Wizard of Oz. Could it be any cuter? I really should go read something. Oh man, reading ALL day would seriously be a dream. There is nothing better than getting lost in a great book. However, with your schedule?! I would lose my mind trying to read 50 books haha :) But I totally feel you...to have an excuse to read all day?! I WISH! I know. I am pretty much a genius. That's insane! I loveee reading but like you, I don't have time to sit around and read all day (although I wouldn't complain if I did lol). i love to read! but 50 books? that's cray. I had a goal to read 50 books in a year..and only made it to 15...seriously who has time to read 50 books? i guess you could sneak a couple of peaks in at work, right. 50?? That's nuts! I don't have to do reviews but sometimes I'm completely surprised at the amount of chapters my professors assign me to read. I don't think they realize that there are classes other than their own, that I have placement 12 hours a week, and that like you, I can't sit and read all day lol. Good luck!! WOW 50 is crazy. I'm a fast reader, but maybe not fast enough to get them all done for the class : ) But it sounds like a fun class, and I'd love to read those books! That bookmark is ah-maz-ing. I've been lusting after the entire Wizard of Oz bookmark set (yes, a whole SET!) on Etsy since last year. I'm so jealous you have the ruby slippers! Fact: In the book The Wonderful Wizard of Oz, there were no ruby slippers. She had silver shoes. 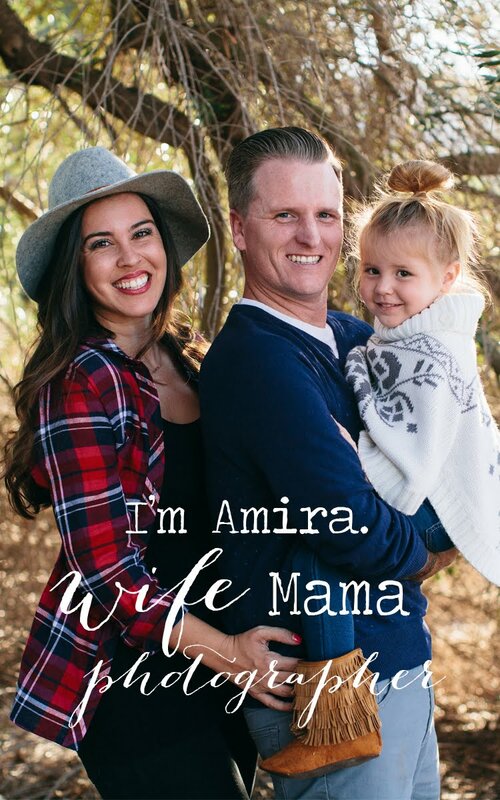 HAPPY FRIDAY EVE, Amira! And good luck with all 50 reviews! i'd say this is heaven, but i know without a doubt the feeling of wind going out of the sails when it comes time to read books just to analyze. not just to enjoy. good luck, and if you feel like divvying up the load ... you've got almost 300 people who'd be more than happy to help!! I love that bookmark, though. Sometimes I feel totally buried by a book, but in a good way. wow! good luck! i love anything oz related thanks to my grandma being in the film. i might have to get that bookmark too! that stack of books makes me drool...but only if I wanted to read all of them, not if someone was making me. But you can do it! Duh, of course you can. Whoa! 50? That is a lot of books. I love to read but that is pretty intense for how much time you have. Jeez that's a serious amount of books.. I would love to read all day! 50 books is a bit harsh when you have so many other things to do. Sometimes I don't get time to read for days and I love books. Really love that bookmark, may have to find myself one!! That bookmark is absolutely darling! Such a cute little gift for someone too! I love that your mom is savvy enough to be watching your Pinterest boards :) That's pretty rad! And 50 books is ridonk. You should ask bloggers to give you a cliffnotes version of 49 of them...haha. I'm a reader bug myself, but that is quite a project. Best of luck writing all those reviews. And... I'm totally wanting that bookmark. I saw that on Pinterest a while ago. "Noooo oneee mourns the wicked! Good news! She's deeeeadd!" i have a huge stack of books waiting on me as well... it seems to grow by the day! and that bookmark is too cute. i have seen wicked twice as well... it seriously makes me wish i was talented and could sing on broadway. defying gravity is my FAVE broadway song. I've read almost every one of those. Fabulous :) Good luck! I LOVE reading and would seriously enjoy this! Wow! Yep if you didn't work this would be a dream! You get to pick any YA book you want to read? Sounds amazing (if you had the time haha)! Love "Speak"! "13 Reasons Why" was sad. And that "Forge"/"Chains" series by Anderson?? Wow. Amazing. P.S. Really love that bookmark!